Thank you to all of you who participated in Stand Up For Siblings Event in March and also to those who could not attend, but have shown an interest. We are impressed by the immediate impact that the event is having on social work practice. Professionals have told us that dissemination of the research evidence and discussions at the Stand Up For Siblings event have directly influenced recent practice decisions in their area. In one case, a decision has been made that three children with complex needs can remain with their foster carers on a permanent basis with a support package around them rather than the youngest be adopted and separated. In another example, a social worker presented an argument to senior management for an informal ‘indoor camping’ arrangement at a carer’s home rather than temporarily splitting siblings. This allowed the children to stay together with a carer they were familiar with until plans for other young people in placement progressed and the formal space was ready for the sibling to take. Although the carer was technically ‘over numbers’ for a few days, the children’s best interests were promoted. One question this raises is the degree to which inspection bodies are able to take account of solutions that may appear extraordinary to adults, though very ordinary to children. We would be interested to hear other examples of creative and flexible practices or as it was called at the event in March ‘Professional Courage’. Please get in touch to let us know. The legislative framework to support the sibling relationships is inadequate, with no legal duty to promote relationships between siblings. Where good legislation and policy does exist, there can be a deficit in implementation and a lack of accountability for decisions made and actions taken. Policy and practice do not always match up and there seems little recourse when this is the case. Statutory requirements regarding placements can have an impact on sibling groups. Responding to children’s need for safety and protection is often prioritised with less emphasis on relationships once safety is secured. The focus on safety/risks leads to decision making based on short term, rather than longer term needs of the child. Risk assessment of sibling contact often becomes conflated with risks relating to the parents. There may also be different thresholds for safety between Local Authorities and so where siblings are in different areas, there may be different views taken on whether contact would be safe. If difficulties in sibling relationships occur, this can be interpreted as an indication that contact should not happen. Contact is often reduced when siblings are “not engaging” with one another and arguments are seen as a problem rather than an ordinary part of family life. A vicious cycle is set up whereby a lack of contact leads to weaker relationships which leads to less contact. The quality of contact can be significantly undermined by the setting in which contact takes place, which is often sterile and unwelcoming and/or has negative associations for the children and young people concerned. This can be made more difficult when contact is supervised or when contact with siblings occurs at the same time as contact with parents. The emphasis is primarily on building attachments with new carers and parental contact with too little emphasis on sibling contact. There can be resistance from foster carers to sibling contact and contact can be difficult where children are placed with different carerswho have different lifestyles and routines. Sometimes removal of sibling contact and grounding of children is used as a punishment. The needs of siblings can be diverse e.g. if one sibling is at home (with parent/s) and one or more other siblings are accommodated away from home. Where there is an age gap between siblings this can lead to one or more siblings “aging out” of the system resulting in separation from siblings who remain in care. Planning and decision-making around separating siblings is often resource led, especially where there is a lack of available placements. A range of ideas and suggestions to support sibling relationships were also identified. Young people being recruited and supported as panel members. Advocacy makes a big difference – all young people should be appointed an advocate at the point of coming into care to ensure their rights are heard. This needs to be relationship-based advocacy. Joint work needs to be undertaken to develop a shared understanding of what constitutes a high quality evidence-based assessment of sibling groups and sibling relationships. Continuous assessments and reviews of contact where actions are resourced and implemented should be the norm – some referred to ‘organic’ contact to reflect changes over time. This includes not forcing contact but being ready to step in and support this when it’s the right time. Provide ‘way back’ if contact has stopped for a time. Support, including therapeutic support and life story work to enable siblings to understand each other’s perspective and to enable healing for children, should be provided as standard. Giving children the tools to successfully negotiate relationships. Accessible information packs at point of reception into care for children and young people whether booklets or online, should be provided to all children and young people brought into care. Siblings should be identified as relevant persons so they have a right of notification when other siblings’ Hearings are taking place. Children’s Hearings should routinely consider sibling contact and relationships. The “All About Me” form should include a question on sibling contact and relationships. Safeguarders and curators ad litem should include sibling contact and relationships in their reports. More and better use of Family Group Conferencing and Kinship Care is needed. Introduce targeted recruitment of foster carers and adopters for sibling groups who understand adversity, trauma and reliance and are committed to supporting relationships long term. 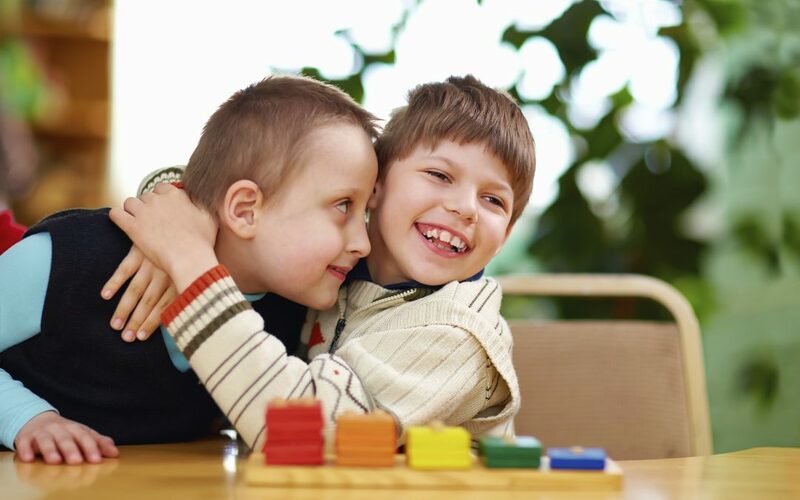 Safeguarding sibling-ready foster placements for sibling groups. Explore the possibility of Mockingbird projects as a model for large sibling groups. Increase support for foster carers to manage sibling placementsand to facilitate contact e.g. driving children to contact. Create this expectation at the point of training and preparation. Encourage and support foster carers to support ‘normal’ contact – meet ups, get-togethers in their homes and natural environments. Use Skype and social media to promote sibling relationships. Challenge the rationale that distress before, during or after contact should lead to reduced contact or separation. Identify a range of appropriate places for contact – what do different sibling groups need? Contact in social work offices may hold bad memories so alternative locations should be found. When using contact centres, offer normal activities for children, create an expectation for foster carers to engage and facilitate contact and provide interventions to help re-establish relationships with siblings. Look to safe care centres for care experienced young people in Wales as a possible model for good practice. These are primarily intended to avoid young people becoming homeless when leaving care, but could also be a place where siblings could meet. Careful use of supervision to avoid contact feeling ‘un-natural’. Support to adoptive parents to appreciate and work with others to facilitate contact. Make creative use of existing resources, e.g. using one taxi to transport siblings in separate placements to school to allow daily informal contact, or two siblings attending Guides together. Provide older (adult) siblings with financial support and training/support on how to manage / maintain contact. Support adopters not to see siblings as a ‘threat’. Change language of, and approach to, permanence – children should grow up knowing they have membership of two families. Also need to ensure that sibling contact does not get lost when permanence process involves trying to reduce parental contact. Encourage joint working with housing services to ensure housing stock can meet the needs of siblings. Discussions with the Care Inspectorate around expectations in relation to Fostering and Residential registration and sharing. Encourage Looked After Reviewing officers and the Care Inspectorate to do more to keep sibling relationships on the agenda. Encourage more co-working and regular meetings to talk about the family (of siblings) rather than the focus being individuals. Corporate parenting should include protecting sibling relationships and this should be explicitly stated as a Corporate Parenting duty. Longer term change in the law. Listening to children’s views on ‘established family life’ and definitions of a sibling–may include foster siblings and peers in residential care. Focussing on the positives in children’s lives. Practitioners having the professional courage to challenge the status quo. Paying attention to the small things and normal things which are hugely important – a day out with siblings, taking pictures, making memories. Regular and good quality communication with children and between adults and agencies. Keeping siblings visible and their needs in the forefront. Attention to language – e.g. ‘family time’ rather than ‘contact’ with brothers and sisters. Local solutions to maintain children’s connections. The successful implementation of these ideas, of course, relies on sensitivity to the individual needs of the children and their circumstances. No one solution is likely to fit all children and families.